According to a 2015 article in The Guardian, over 17,000 tenants believe that they’re being harassed by private landlords. In some cases, these issues are elevated to the courts, with landlords facing lawsuits due to harassment. 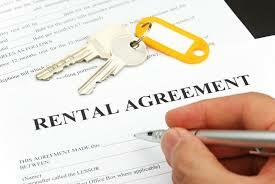 Landlords have a fine line to tread when renting out their property. On one hand, you want to protect your investment so it’s natural that you want to check up on the state of your property. On the other, doing so to excess means you’re invading your tenant’s privacy. Do you want to know how to strike the right balance? Then follow out tips to ensure you don’t end up harassing tenants. At PRG, we provide property management and lettings agency services for clients throughout London. Of course, there may be some of you who aren’t sure about renting. Perhaps you’re wondering if renting or buying is the best option for you. Buying gives you complete ownership of the property, plus the money you spend each month builds equity. That may make it seem like an attractive option. However, there’s plenty of pros of renting too. Let’s take a look at some of them.